Second Ghat road works for Yadagirigutta hill will be started shortly with CM, said IT Minister for state Komatireddy Venkat Reddy during his visit to Yadagirigutta, he also told the ROB bridge at Raigiri Station also open shortly. 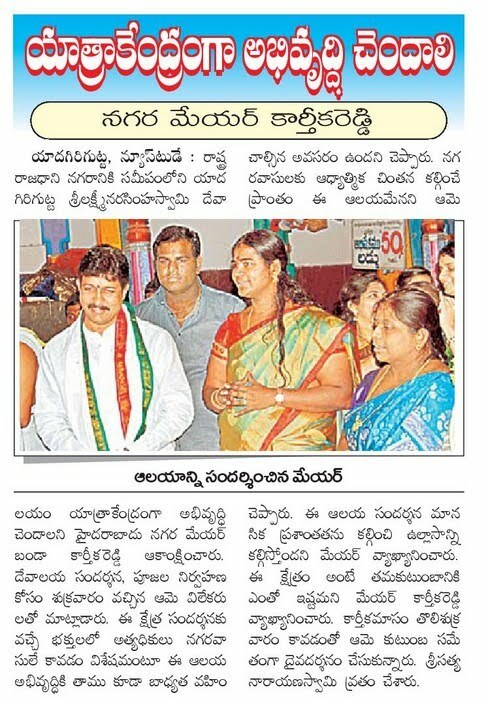 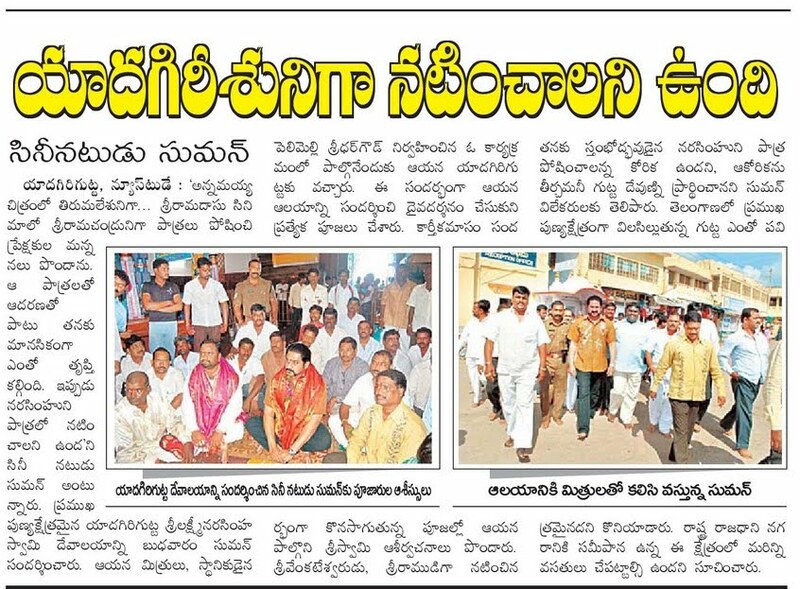 GHMC Mayor Karthika Reddy visisted Sri Laxmi Narasimha swamy temple, Yadagirigutta on 12.11.2010 along with family. 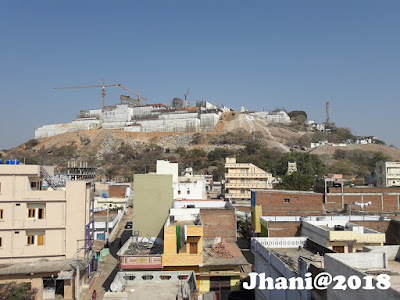 she said since the yadagirigutta is very near to to Hyderabad, its requires more developments here for the convenience of the tourists and devotees and she will try for it. 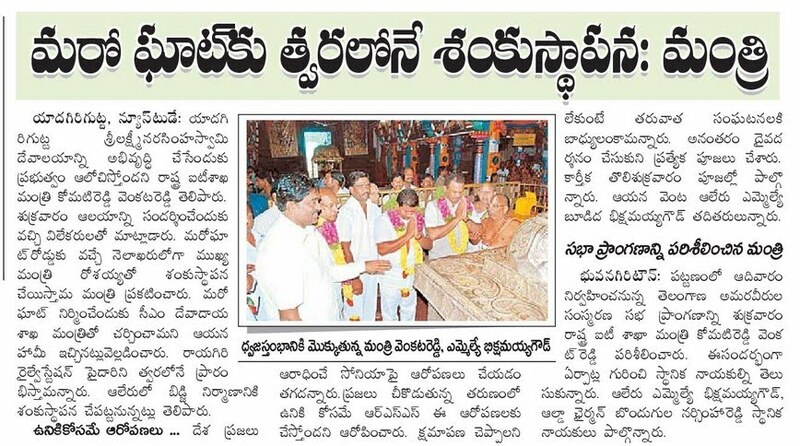 Famous Cine Hero Suman visited yadagirigutta temple on 10.11.2010 and said he have desire to act as Narasimha Swamy which he also pray to lord Sri Laxmi Narasimha swamy during his visit.